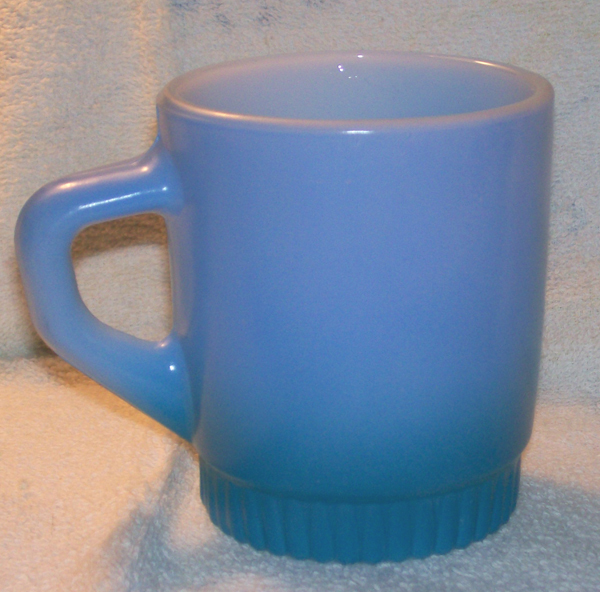 White milk glass with a Light Turquoise Blue color . The bottom has a dark blue shadow effect. Very good condition. No chips or scratches. On the bottom is: Anchor Hocking - Fire King - Oven Proof - 42 - Made in U.S.A. Cost $15.00 - sold 11/15/15 - TOS. Milk glass in excellent condition. Stackable cup. 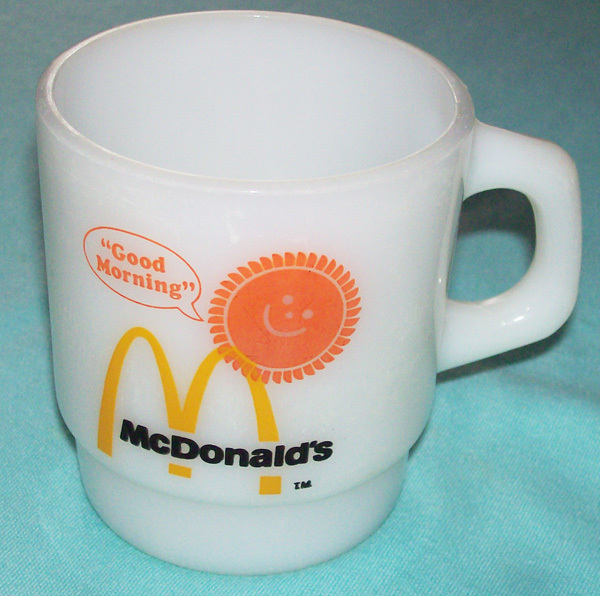 The logo, the arches, the sun and "Good Morning". S & H in the U.S.A. is $6.00. 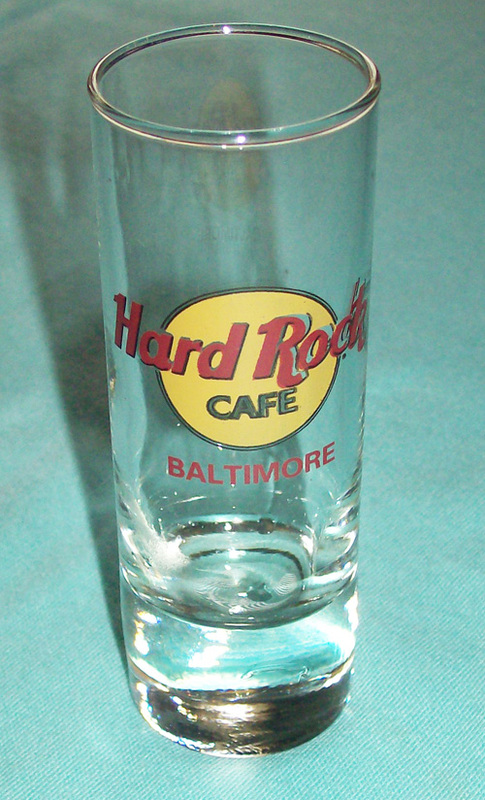 Hard Rock Cafe Tall Shot Glass - Baltimore, Md. Tall Shot Glass - Hard Rock Cafe - Baltimore, Maryland. 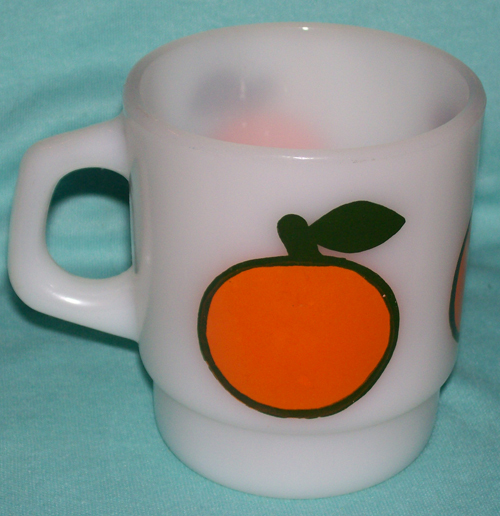 Milk Glass white with a Orange design on each side. On the bottom is: Anchor Hocking - Fire King Ware - 9 - Made in U.S.A.